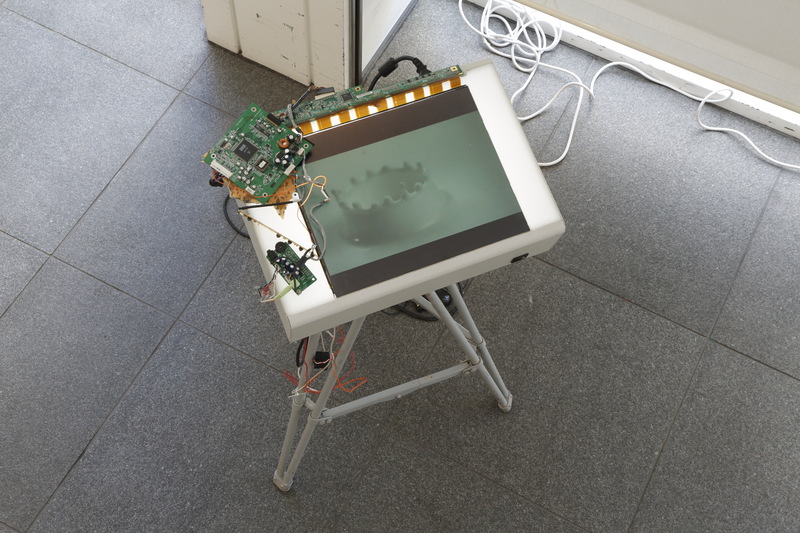 Melanie Jackson has developed a practice that allows her to reflect upon her own implication in larger social systems of circulation and exchange, and the prevailing narratives around everyday commodities that work to normalize our daily consumption of consumer products. 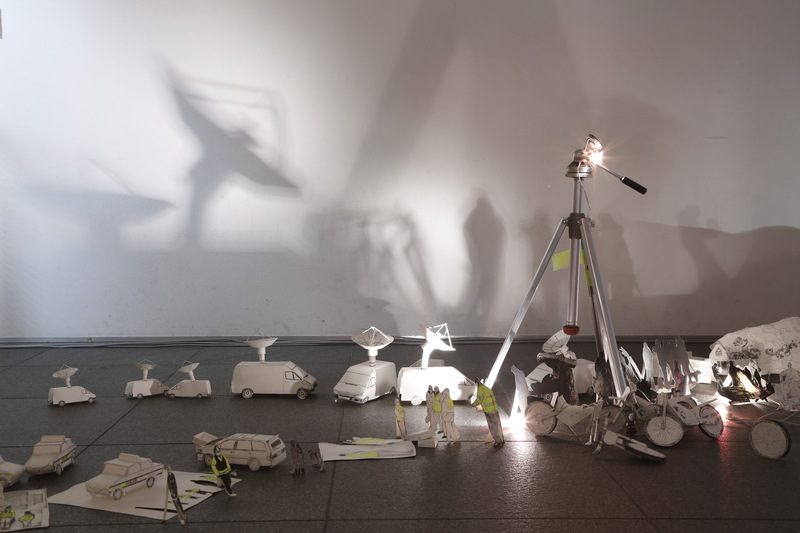 Previously she has focused on globalization and popular attitudes towards the new mobility of goods and people, circulating around the world, whilst, in more recent times, her attention has shifted to the mythologies and processes of abstraction that we apply to natural products. 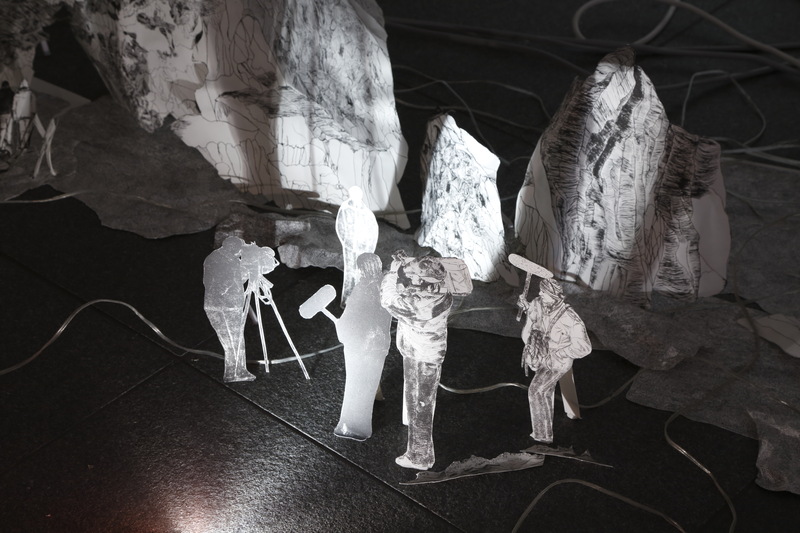 Her approach is to try out different tactics of representation, often referencing stories in the media, employing many different techniques, such as drawing, print-making, paper-cutting, origami, sculpture, papier-maché, video, animation, performance, music, installation and other craft traditions, but always keeping her own complicity in the representation of her subject visible, as part of the circulation of meanings around her work. 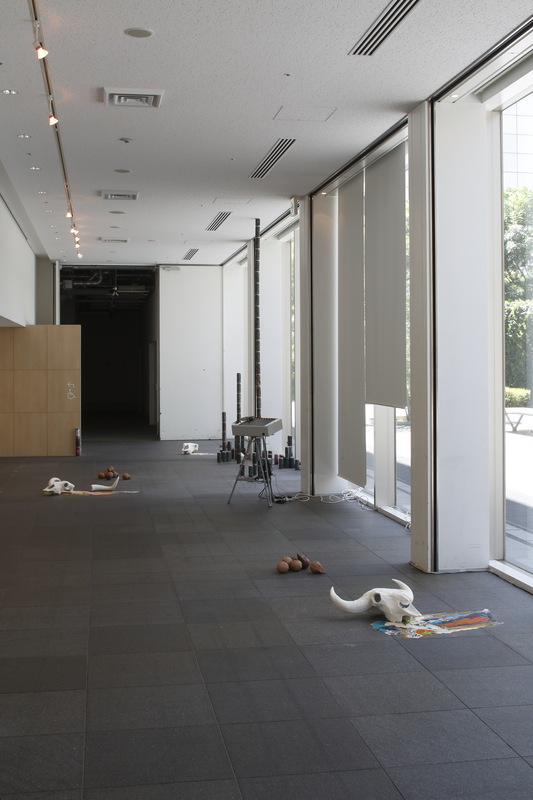 For the Dojima River Biennale, Jackson presented two site-specific installations. In the two-part work, The Undesirables, she referenced simultaneous events taking place in the summer of 2007 along the British coastline in which the subjects of the stories were deemed ‘undesirables’ by the UK authorities and the media. 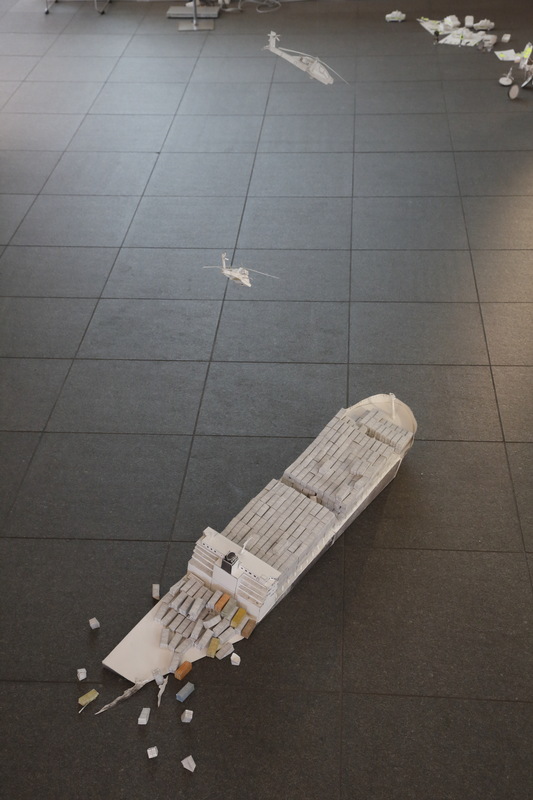 The first part of this installation was made up of a diorama of etchings reconstructing the wreck of the container ship MSC Napoli off the ‘Jurassic’ coast of South Devon, and the ensuing media frenzy as a bonanza of consumer goods were washed up on the shoreline – motorbikes, methyl bromide, flip flops, 3600 xhosa bibles, a tractor, face cream, perfume, etc. The unfettered pleasure of this free-for-all soon gave way to a narrative of contempt towards the public as they plundered and laid claim to the consumer goods that had become common property. 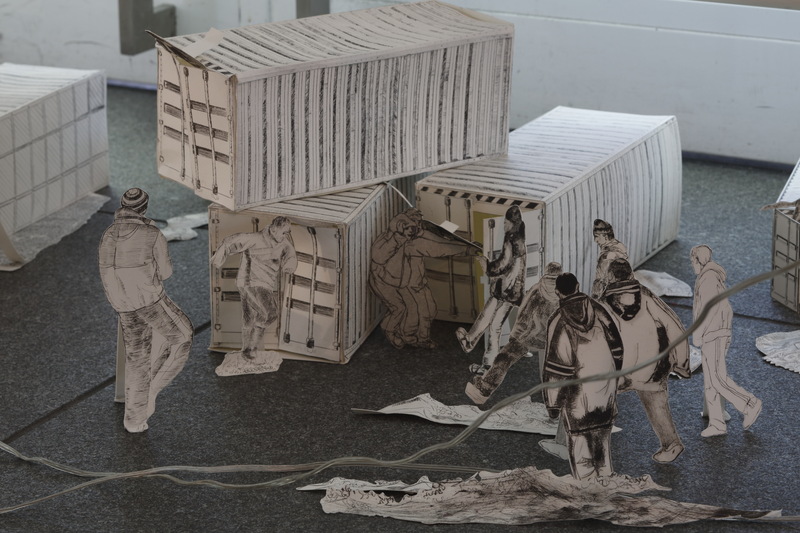 In the second part of the installation, an animated video interview with nearby dockworkers documented the lengthy measures taken by the UK authorities to detect illegal immigrants coming into port in lorries and containers, like so much detritus washed up on the currents of global trade. 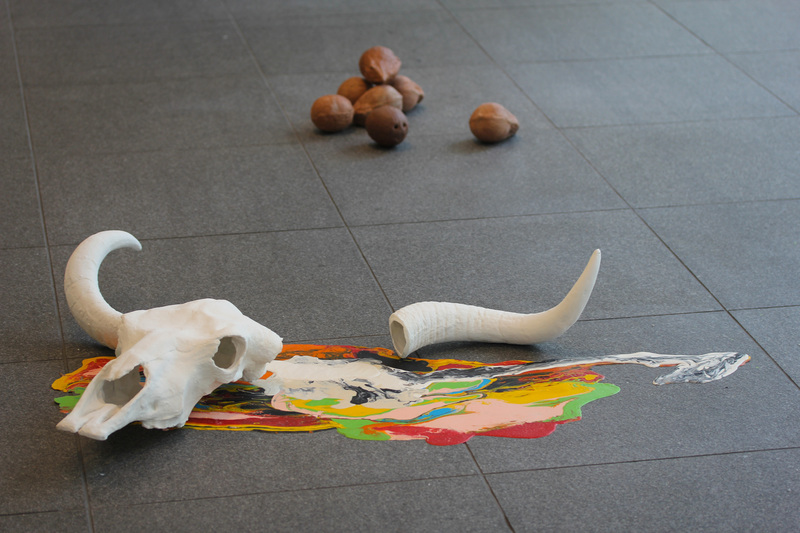 Jackson’s second installation, The Land of the Eternal Infant (commissioned specifically for the Biennale), took the basic foodstuff of milk as its subject matter, incorporating a mixture of wax-clay sculptures of cows’ skulls and coconuts, multi-coloured porcelain and latex spills, a computer animation on a de-constructed screen and a tower of customized consumer products, reflecting on how this staple of everyday life has become a cipher of protracted infancy and postponed desire in contemporary culture. Milk is core to our early development, and socialization, as human beings, but it has also become the basis for a massive process of industrialization and mass-commercialization. 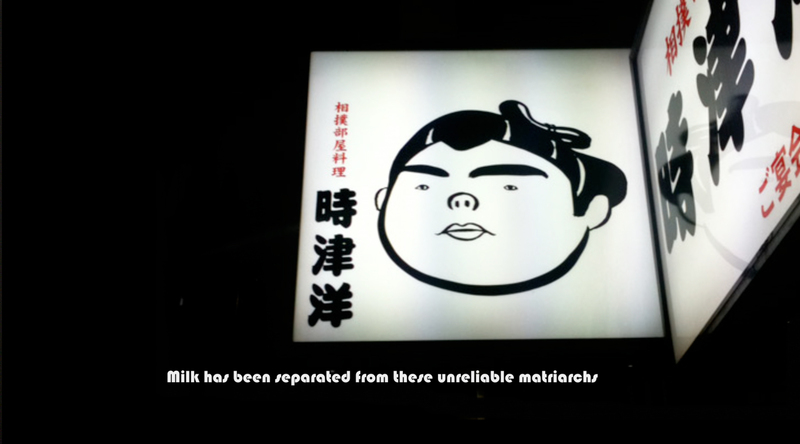 As milk is abstracted away from the maternal body, it has been made the subject of numerous mythologies and fantastical associations throughout the course of history. 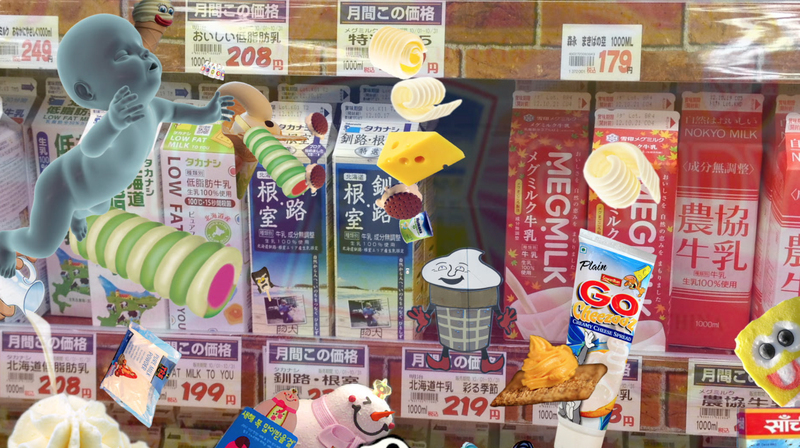 In Japan, the popular milk-based soda drink, Calpis, weaves stories of fermented mare’s milk from the Mongol steppes and the Taranbata festival of the stars into it’s corporate history, with the polka dot design of its products based upon the constellations of the Milky Way. Meanwhile, in Second World War, the photographic documentation of milk droplets and their slow-motion splashes became the basis for the impact theory of bullet trajectories, and were even used to model the detonation of the atomic bomb. 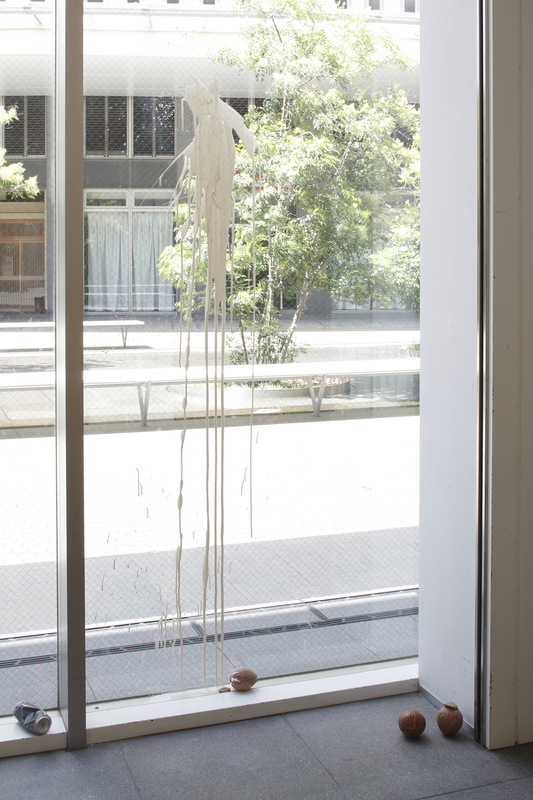 Thus, the artist observes, “that which is associated with the establishment of life is re-routed for the purposes of death”, abstracted from maternal care to annihilation.